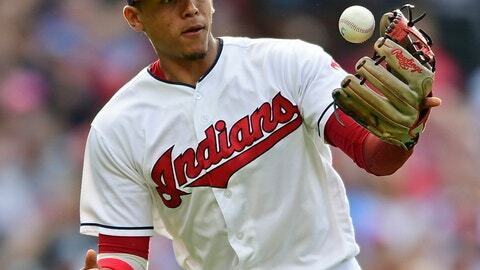 CLEVELAND (AP) — The Indians traded one of their extra pieces. They’re keeping their bigger ones — for now. The AL Central champions sent the 27-year-old Gonzalez, who appeared in 81 games for the Indians last season, along with minor league right-handers Tahnaj Thomas and Dante Mendoza to the Pirates for outfielder Jordan Luplow and infielder Max Moroff. Gonzalez batted .265 with one homer and 16 RBIs last season for Cleveland, which signed the Dominican native in 2009. And while he filled a valuable utility role, he was not going to crack the starting lineup behind All-Stars Francisco Lindor and Jose Ramirez. “That was a tough thing for us,” Indians president of baseball operations Chris Antonetti said. “We’ve had multiple conversations with Erik about it. He’s done so many things to impact the organization in his time with us, from the time he signed. He’s played every position on the field I think other than catcher at one point or another. But, as our roster has taken shape over the course of the past few seasons, we have not had an opportunity for him to play regularly. The negligible move gives the Indians needed depth in the outfield, and it could be the first of many deals this winter. Cleveland has not dismissed speculation it may be willing to trade prominent players, including ace Corey Kluber and right-hander Carlos Carrasco. Antonetti said it’s difficult to measure whether the team has seen an increase in teams wanting to do business with the Indians. The 25-year-old Luplow is one of those opportunities. Cleveland’s outfield was decimated by injuries last season, and the team is not expected to re-sign Michael Brantley as a free agent. Luplow appeared in 64 games over the past two seasons with the Pirates, who named him their top minor league player in 2017. Moroff has split the last three seasons between Triple-A Indianapolis and Pittsburgh, appearing in 26 games for the Pirates in 2018. Antonetti dealing young players — especially pitchers — like Thomas and Mendoza is difficult, but sometimes necessary.